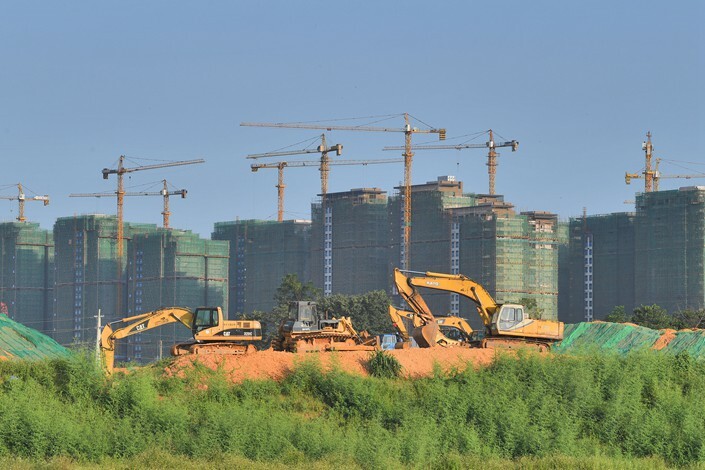 (Beijing) — Several major Chinese property developers significantly slowed their land purchases in September, with real estate market insiders pointing to companies’ tightening finances. Hong Kong-listed County Garden Holdings Co. Ltd., China’s biggest property developer by transaction value last year, bought 4.23 million square meters (45.5 million square feet) of land in September, worth a total of 6.4 billion yuan ($924 million). The land area and the value of Country Garden’s purchases were down 58.8% and 79.3% year-on-year respectively, according to data from property market researcher China Index Academy. 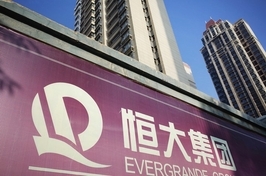 The amount of capital flowing into the real estate industry has declined, Country Garden Chief Financial Officer Wu Bijun said at a briefing in August. Country Garden isn’t the only developer buying less land in recent months. In August and September, Poly Developments and Holdings Group Co. Ltd. and China Vanke Co. Ltd., two other major real estate industry players, also reported similar decline in land transactions. Poly spent 12.5 billion yuan purchasing land in August and 96 billion yuan in September, down 51% and 85% year-on-year respectively. Vanke’s spending decreased 61.4% in August and 72.9% in September. A total of 2,332 plots of land, with a gross area of about 97.3 million square meters, were available for sale in September, according to a China Index Academy report. That was an 8% decrease year-on-year. A total of 1,950 plots were sold, down 13% compared with the same period last year. However the decrease in land sales has not been evenly spread across the country. 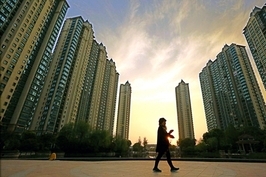 According to the China Index Academy, land sales in first-tier cities such as Beijing and Shanghai fell in the first three quarters, while those in smaller cities surged. From January to September, the value of land transactions in first-tier cities dropped 24%, while it increased by 8% in second-tier cities and by 37% in third- and fourth-tier cities. An executive from a real estate company who didn’t want to be named said many property firms had stated their intention to slow land purchases in their internal meetings. “In one way, it’s because of cash flow pressure. 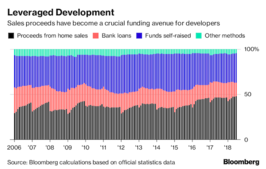 Also, many developers feel the same as housing investors that they should buy more when prices are dropping, not when they are rising,” the executive said.